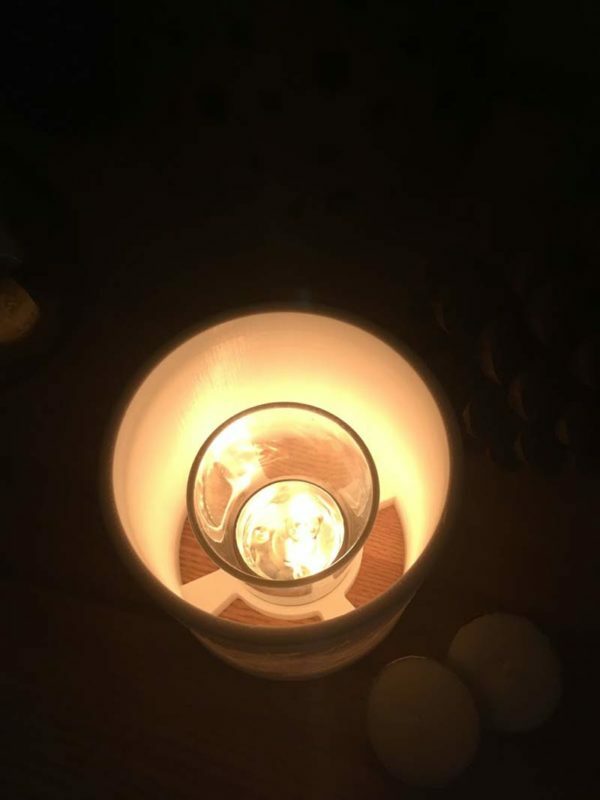 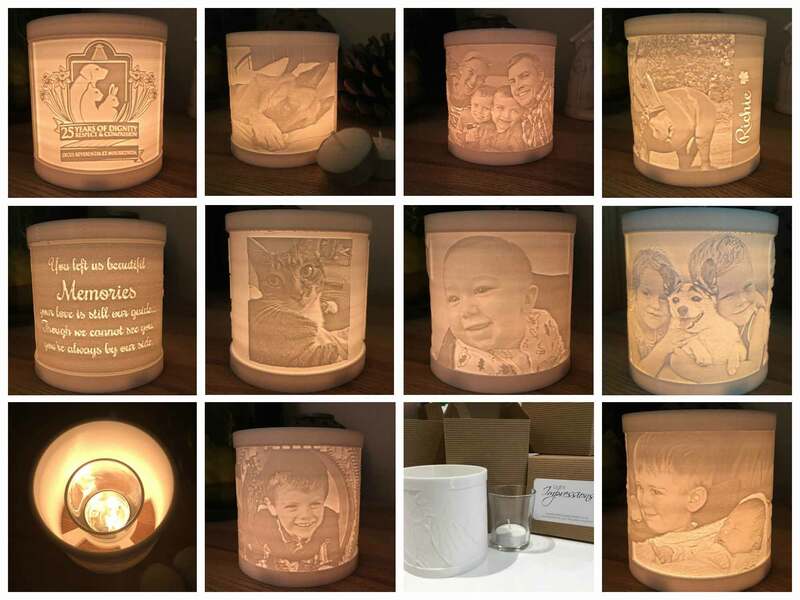 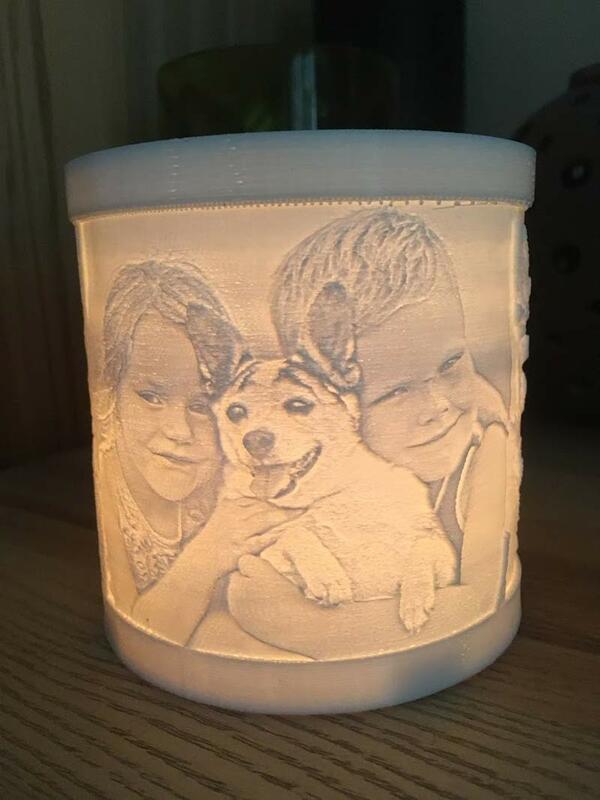 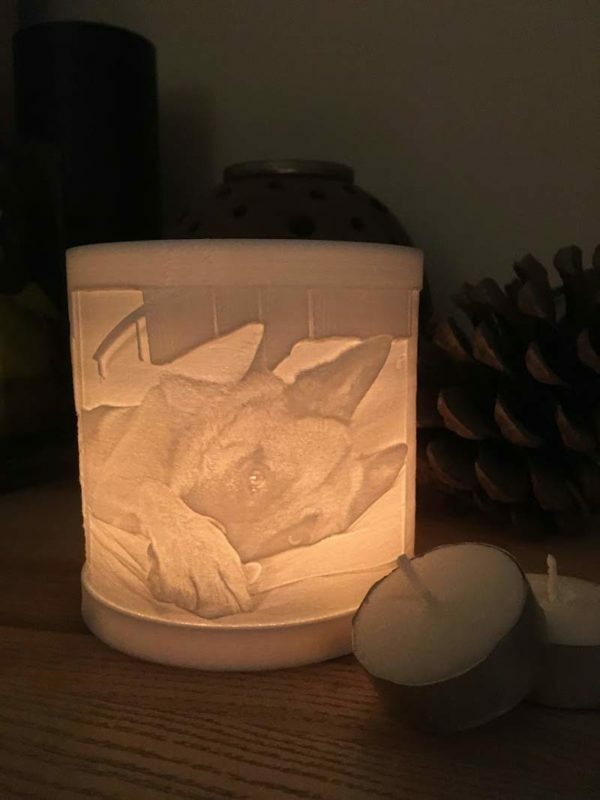 Unique 3D printed candle holder which you can personalise with your own photos. 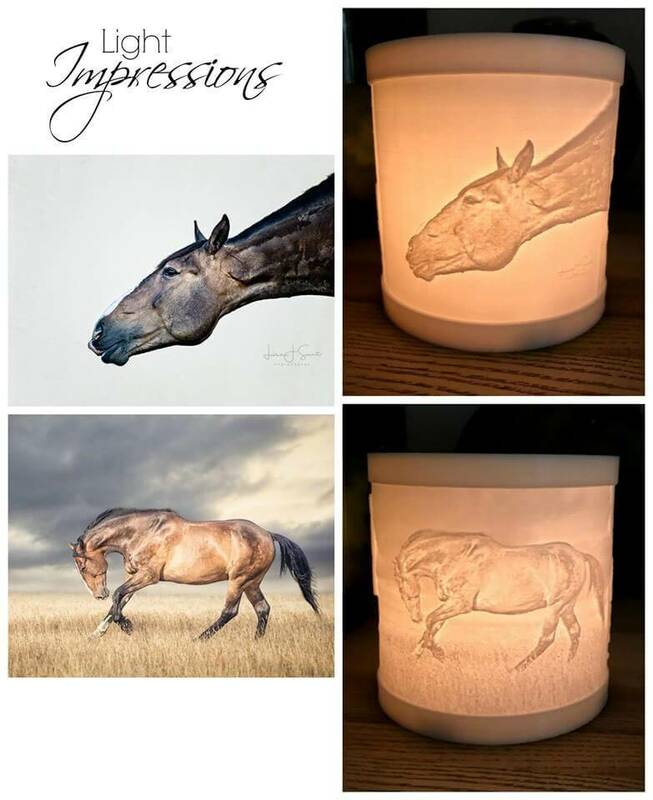 When lit you can see a beautiful and highly detailed impression of your design. 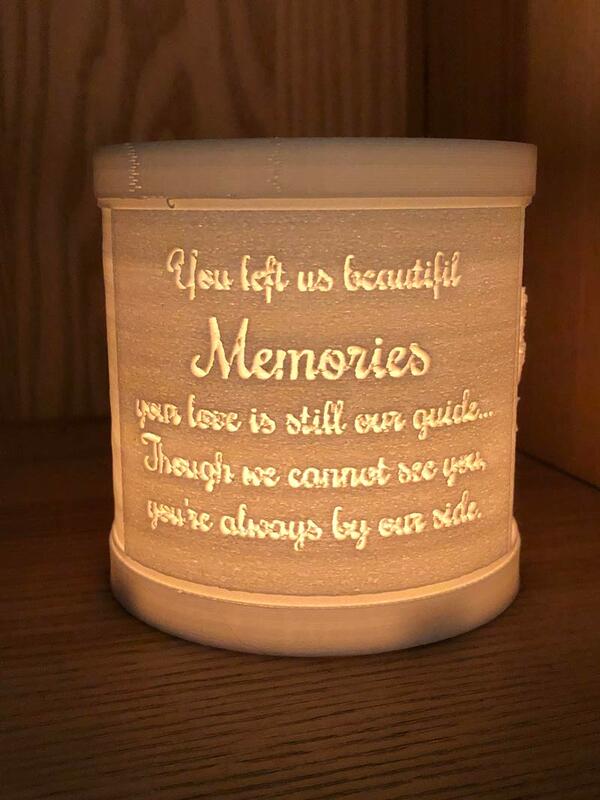 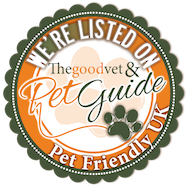 We will contact you and go through your design choices and wording.